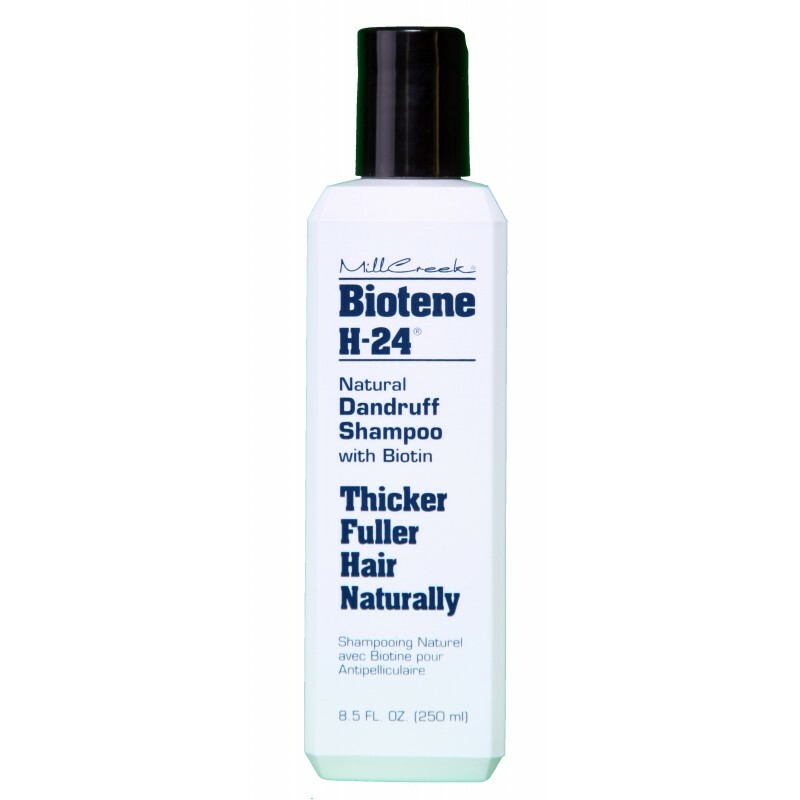 Mill Creek Botanicals Biotene H-24 Dandruff Shampoo helps control dandruff while also nourishing hair and scal to achieve thicker and fuller looking hair. Contains coal tar to help naturally control dandruff and psoriasis, along with our amazing proprietary blend of hair-nourishing ingredients. With regular use, it will help control dry, flaky, scalp. 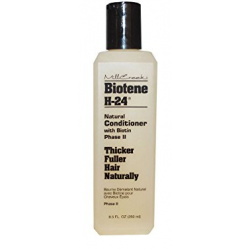 For best results use with Biotene H-24 Scalp Conditioning Shampoo. "Deionized Water, *Organic Aloe Barbadensis (Aloe Vera) Leaf Juice, Cocamidopropyl Hydroxysultaine, Sodium Cocoyl Methyl Taurate (Coconut Oil Based), Disodium Cocoamphodiacetate (Coconut Oil Derived), Sodium Cocoyl Isethionate (Coconut Oil Based), Coal Tar Topical Solution (Active Ingredient), Hydrolyzed Keratin, Glycol Stearate, Allantoin, Biotin, Panthenol (Provitamin B5), Ascorbic Acid (Vitamin C), Retinyl Palmitate (Vitamin A), Niacin, Urtica Dioica (Nettle) Leaf Extract, Citric Acid, Sodium Chloride, Natural Fragrance. pH Balanced. 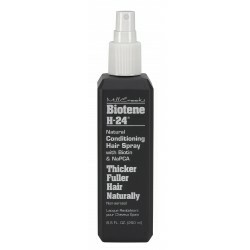 *Certified Organic Ingredient by USDA"
Thicker, Fuller Hair Naturally; Dandruff Relief; Relief from Flaking. Sulfate Free, Paraben Free, Gluten Free, ph Balanced, Cruelty-Free. 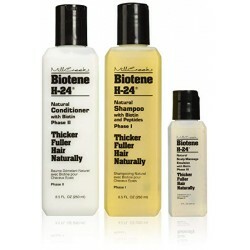 Biotene H-24 conditioner is a rich conditioner containing biotin, keratin protein, nucleic acids and.. 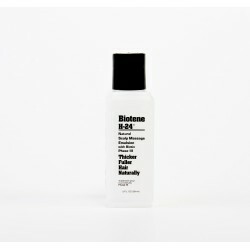 This scalp emulsifier is a natural Scalp treatment containing Biotin to nourish the scalp and hair f..
TRI-PACK contains-Shampoo 250ml-Conditioner 250ml-Emulsion 59mlBiotene H-24 is a complete system of ..
Mill Creek Botanicals Biotene H-24 Conditioning Hair Spray helps you achieve thicker, fuller looking..